Silvateam will be attending the Aquaculture Europe 2016 that will take place in Edinburgh International Convention Centre (EICC), Edinburgh (Scotland) from September 21th to September 23th. During the conference, Silvateam will be presenting a poster entitled “In Vitro Activity of Hydrolysable Tannins (Silvafeed TSP) Against Common Fish Pathogens” by N.Panciroli, DVM PhD. The present study aims at evaluating the in vitro minimum inhibitor activity of Silvafeed TSP (hydrolysable tannins) against 6 of the most common fish pathogen: Lactococcosis disease (Lactococcus garviae); Yersiniosis or enteric redmouth disease (Yersinia ruckeri, Aeromonas hydrophila); Foruncolosi (Aeromonas salmonicida subsp. 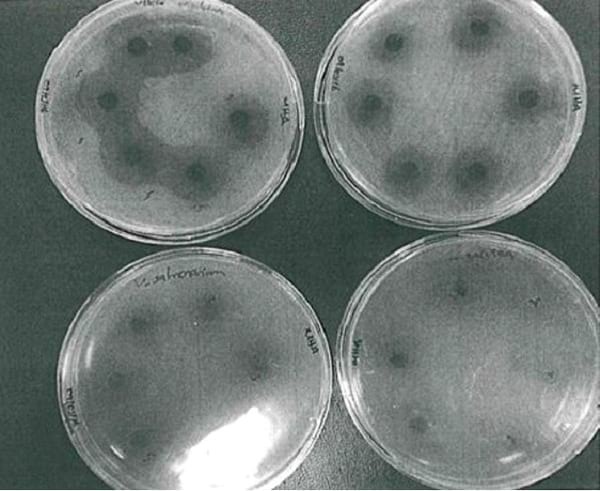 Salmonicida), vibriosis (Listonella anguillarum) and Coldwater streptococcosis (Vagococcus salmoninarum). Scientific studies demonstrated a positive effect of hydrolysable tannins against the growth of certain pathogens and thus promoting health and balance of the intestinal flora. The feed additive Silvafeed TSP (Hydrolysable Tannins) declared to have protein absorption enhancement, pathogenic bacteria suppression and vasoconstriction properties in poultry and ruminant digestive tracts, has been tested in vitro to determine its antibacterial effects against bacterial fish pathogens. Plant tissues are rich in a wide variety of secondary metabolites such as tannins, terpenoids, alkaloids and flavonoids, which have been found to have in vitro antimicrobial properties. Some of these plant derived compounds seem to be promising candidates to replace AGPs (Cowan, 2009; Hernandéz, 2004). A benefit of the use of tannins as alternative to AGPs, is the hypothetical difficulty of bacteria to develop resistance against the diverse range of molecules that contain these plant compounds. Antibacterial properties of Silvafeed TSP hydrolysable tannins have been assessed through Kirby-Bauer Disk Diffusion Method at five different dosages: 0.05%, 0.10%, 0.025%, 0.40% and 0.50%. Results show that Silvafeed TSP has a strong antibacterial effect against common bacterial fish pathogens as Listonella anguillarum, Yersiniae ruckeri and Aereomonas salmonicidas supsp. Salmonicida at all studied dosage levels whilst a moderate effectiveness has been observed against Aereomonas hydrophyla, and a slight effect was assessed against Lactococcus garvieae and Vagococcus salmoninarum at the higher end of the dosage range (0.40 % and 0.50 %). The present findings indicate that hydrolysable tannin extract Silvafeed TSP is a potential antibacterial agent. Although it has a marked in vitro inhibitory effect on fish bacterial pathogens, the inhibition is necessary to be confirmed in an in vivo trial.